We apply innovative science and technology to address critical conservation problems related to threatened and endangered species, habitat protection and restoration, and climate change. Our projects are designed around the land owner/managers needs and coordinated with the appropriate agencies. 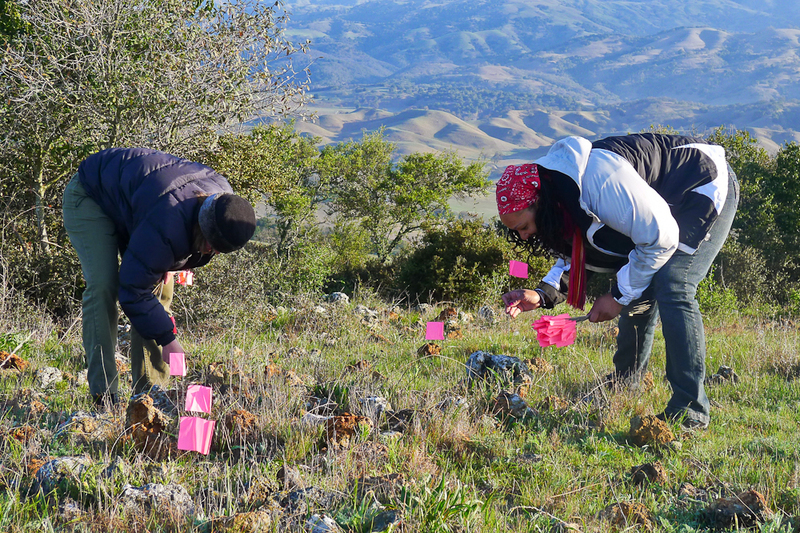 We pride ourselves on providing cost-effective applied research that will benefit the long term conservation of a given species, habitat, and/or vegetation community. Our approach utilizes solid foundations from basic science (ecology, conservation biology, climatology, statistics, etc. ), advanced technology (remote sensing, field-based sensors, geographic information systems, etc. ), and field biology (habitat characterization, population monitoring, vegetation analysis, etc. ), to gain comprehensive understanding of natural systems. We develop conservation management solutions to meet needs of diverse customers, including government agencies and private companies. 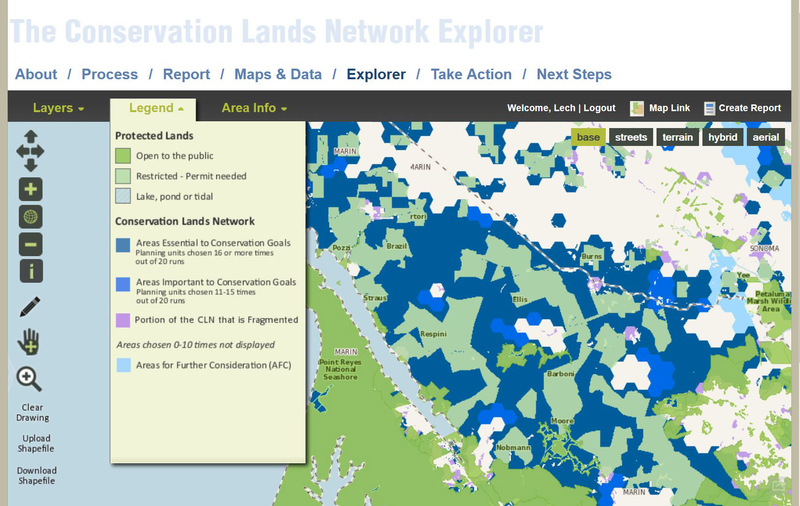 Screen-shot from the Conservation Lands Network online tool that has been created with the director and help of Dr. Stuart Weiss. Below is a list of links to featured projects that illustrate how our services can be used. The spreadsheet below these links gives a more complete list of our projects, their description, and deliverables.